Pesola Digital Hanging Scale 40kg / 88 lbs. 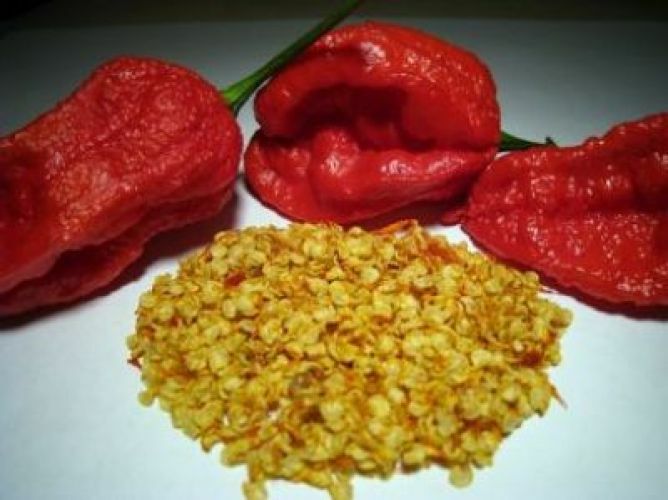 Your Bhut Jolokia seeds from Ghost-Powder.com will last at least 5 years in the freezer. It is best to keep them as airtight as possible when freezing. It is important that they are stored in the back of the freezer as this location will not be subjected to as much temperature change when the door is open. Freeze them in small quantities if you are going to be planting in small quantities. Our Bhut Jolokia peppers rate approximately 900,000 Scoville Heat Units tested by HPLC (High Performance Liquid Chromatography). Our Bhut Jolokia peppers are 100% grown in the Naga region of India.Home of the Worlds Hottest Pepper. Bhut Jolokia peppers are hotter than anything available online, the Bhut Jolokia from India taste better and are 100% satisfaction guaranteed. Each and every Bhut Jolokia pepper is hand-picked, de-seeded by hand, and is pampered from seeds to fruit.